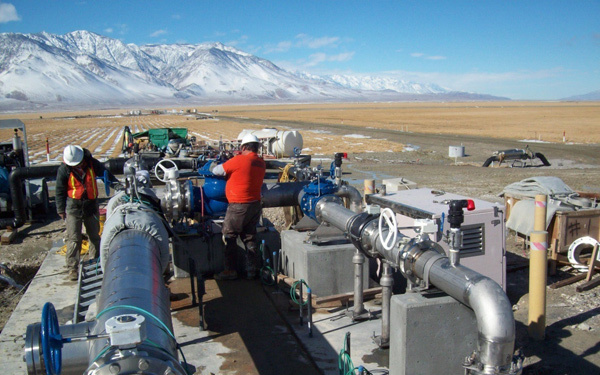 The shallow flooding and managed vegetation dust control measures require extensive infrastructure, including pumps, pipes, and electrical distribution. Three turnout stations were constructed during Phase 7. Managed vegetation moves salts away from the root zone of the planted vegetation and stop the movement of dust. Native Saltgrass is planted in rows throughout the lake bed, shown here. 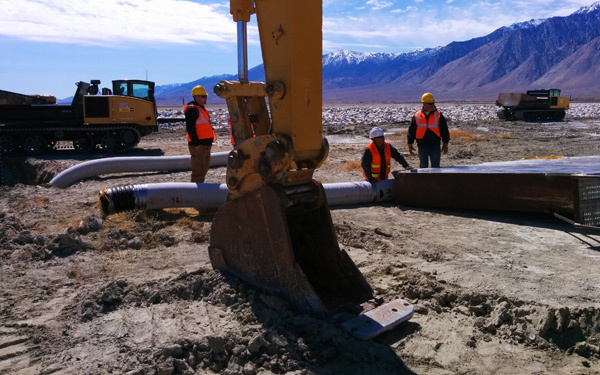 Phase 7 of the Owens Lake Dust Mitigation Project for the Los Angeles Department of Water and Power (LADWP) involved both remediation activities and infrastructure development and construction. 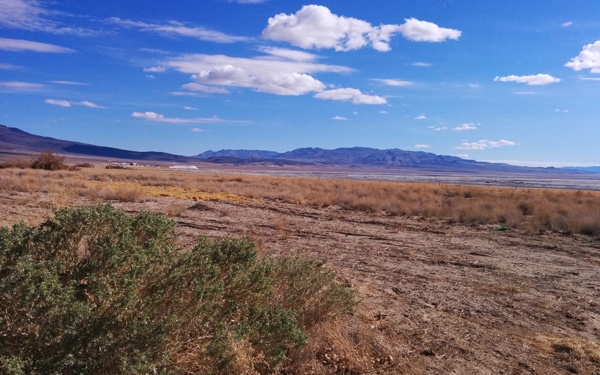 Shallow flooding techniques were implemented for dust control across 9.2 square miles of dry lakebed. Major components of construction included 10.6 miles of raised earthen roads and berms with riprap slopes and the installation of 2.2 miles of welded stainless steel mainline pipe, 40.5 miles of HDPE lateral pipe, and 3.9 miles of perforated drain pipe. In addition, three pumping stations were constructed for water management on the site. The $130 million phase lasted nearly two years and was completed in October 2010. KDG served as the prime construction manager during Phase 7 of the project. Our team of resident engineers, inspectors, project control staff, technical specialists and safety professionals partnered with LADWP to monitor and coordinate all construction activities. Our staff was responsible for schedule and cost control of the construction contract, processing change orders, handling pay applications and tracking construction progress. Our quality assurance and safety staff performed all onsite quality inspection supervision, technical inspections, site safety monitoring, and reporting.